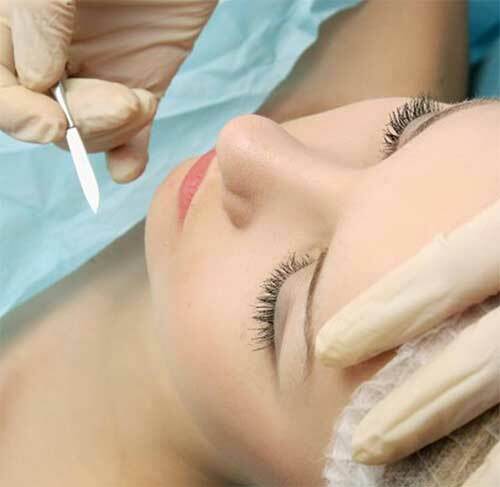 Dermaplaning can be done alone or in conjunction with other treatments such as microdermabrasion, chemical peels and laser-based skin care. This procedure should be done every three to four weeks to maintain the results. Treating the skin in this manner actually removes about two to three weeks’ worth of dead skin cells. You should allow your skin to complete its normal skin cycle of approximately 21 to 30 days before repeating the treatment. Depending on your skin’s condition, Dermaplaning can be combined with chemical peels, DermaSweep™ (microdermabrasion), ClearLift™ Lunch Time Face Lift, or the IPL Photo Facial for even better results.